Statutory designated sites. Sites identified as nationally important for their habitat or wildlife species -or their geological features -have special legal protection to prevent damage and require conservation. 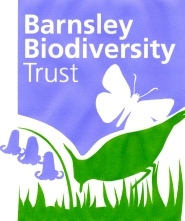 In Barnsley these include tracts of moorland habitat and two areas of meadows. Dearne Valley washland sites may also warrant this status. 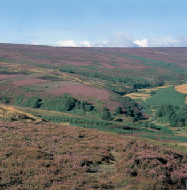 South Pennine Moors are also designated as a Special Protection Area (SPA) for upland breeding birds including Dunlin, Golden Plover, Merlin and Short-eared Owl. 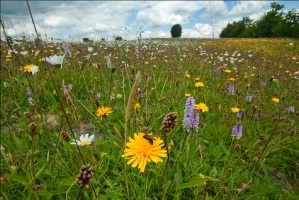 Other SSSIs in Barnsley include Pye Flatts Meadows and Spring Meadows, Alderman’s and Cox Croft Meadows. These are all given special legal protection as a result of their status, as well as conditions being set for their conservation management. Please note that there is no public right of entry to any site as a result of its designation without the permission of the landowner. At Spring Meadows, Alderman’s Head and Cox Croft Meadows SSSI, near Penistone, eleven fields have also been traditionally managed for hay crop with late summer mowing. SSSIs were originally set up by the National Parks and Access to the Countryside Act 1949. 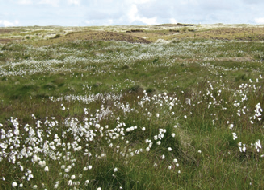 Natural England designates SSSIs, is responsible for ensuring they are managed appropriately and monitors their condition. Each habitat or group of species has its selection criteria. Special Protection Areas (SPAs) for Birds and Special Areas of Conservation (SACs) are of European importance. They have been notified under the EU Birds Directive and Habitats Directive. They also fulfil requirements placed on the UK by its being a signatory in 1982 to the Bern Convention, to which 50 countries are signatories. SPAs are areas of the most important habitat for certain particularly threatened and/or migratory birds within Europe. SACs contain the most important habitats within Europe or support certain threatened species other than birds.